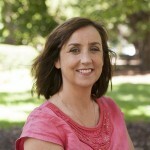 Kristin is the Marketing and Communications Coordinator at AMSI. 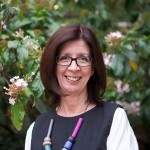 She is responsible for coordinating and delivering the Marketing and Communications strategy for the CHOOSEMATHS project. After graduating with a Bachelor of Tourism and Management from the University of Tasmania in 2004 she then made the move across the water to settle in Melbourne where she went on to complete a Masters of Marketing from Deakin University in 2013. With experience spanning across the education sector as well as within industry, she is excited to be working on such a worthwhile project encouraging more students, particularly girls, to seek opportunities in mathematics. Outside of work, Kristin enjoys getting outdoors, travelling and sampling Melbourne’s amazing food and wine culture with friends and family.